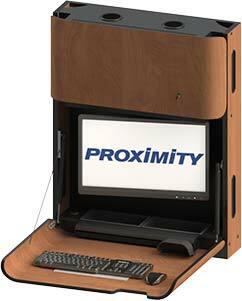 Wall Mounted Workstations - Proximity Systems | Call Us Today! 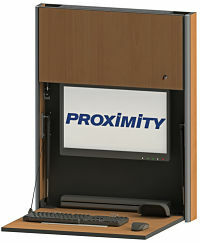 Proximity wall mounted workstations are both elegant and functional. Conceal your technology while adding to the aesthetics of the patient room with our Classic or Embrace series. 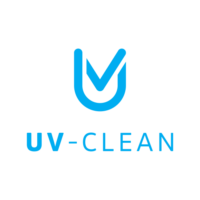 Both series are available with UV-C disinfecting technology. Our Classic workstation line has been designed as an extension of your caregiver. Forget about sharp corners and awkward compartments. We provide caregivers with a comfortable, efficient, and stylish place to work. Our Embrace workstation is a sleek and streamlined workstation that provides you with cutting edge technology, while maintaining a great contemporary style. Proximity self-disinfecting computer workstations are designed with your caregivers in mind to store all of the essential items that are needed to provide quality care as well as offering a means to eliminate pathogens with the unit is not in use.